As the United States entered the Korean War during the early 1950s, and then later became involved in the intensifying Cold War with the Russians, the military felt it needed a road-switcher with the flexibility and redundancy for service abroad on foreign railroads that utilized a wide-range of gauges. As a result, it turned to Electro-Motive (EMD) and the American Locomotive Company (Alco), at the time the leading manufacturers of diesel locomotives, to come up with a design. What was known as the MRS-1, which stood for "Military Road Switcher" or "Military Road Service," was very similar in appearance among each builder although they differed slightly. They saw just around two decades of ownership by the military while some were sold to civilian railroads. Over the years many were scrapped but some were saved and a few remain operational. The MRS-1 was an interesting locomotive design and grew largely out of Alco's early RSD-1 manufactured during the early 1940s for use during World War II in Europe, as well as here in the States. As the country became involved in the Korean conflict, and later the Cold War, the United States Army Transportation Corps (USATC) believed a model capable of operating in multiple gauges among a range of track conditions on railways around the world (particularly in the Eastern countries such as Korea and Russia) was needed to move troops and materials quickly and efficiently if those systems were captured. The general basis of the design was established by the USATC, which sent out requests to all major manufacturers of the era to submit bids and specific designs (others then included the Baldwin Locomotive Works and Fairbanks Morse). Ultimately, only General Motors' Electro-Motive Division and a General Electric/Alco partnership were interested. There were three primary prerequisites for the design; it must utilize a low-profile (height) due to tighter clearance issues in Europe (otherwise known as the loading gauge); adjustable trucks that could fit gauges ranging from standard (4 feet, 8 1/2 inches) to broad (5 feet, 6 inches); and finally interchangeable couplers for use with multiple, differing railroads. EMD produced 13 examples between March and June of 1952, #1808-1820 (serial numbers 15873-15889). Both designs were similar; EMD's was 13-feet, 6-inch high with a wheelbase of 57-feet, 5-inches. It featured the builder's tried and proven 16-cylinder, model 567B prime mover capable of producing 1,500 horsepower. Additionally, it carried 60:17 gearing, C-C trucks, and weighed 109 tons. However, it is here where things are said to have turned badly for Electro-Motive. Traditionally, EMD at the time only offered its standard engine with 1,500 horsepower and did not wish to change the specifications for the 1,600 horsepower requested by USATC. However, only under extreme pressure did EMD finally relent, changing the fuel injection settings and allowing for an added 100 horsepower. In the end, arguably due to politics, Alco/GE was awarded the contract for their version of the MRS-1 in one of the very few instances where Electro-Motive was beaten out by the competition during that era. 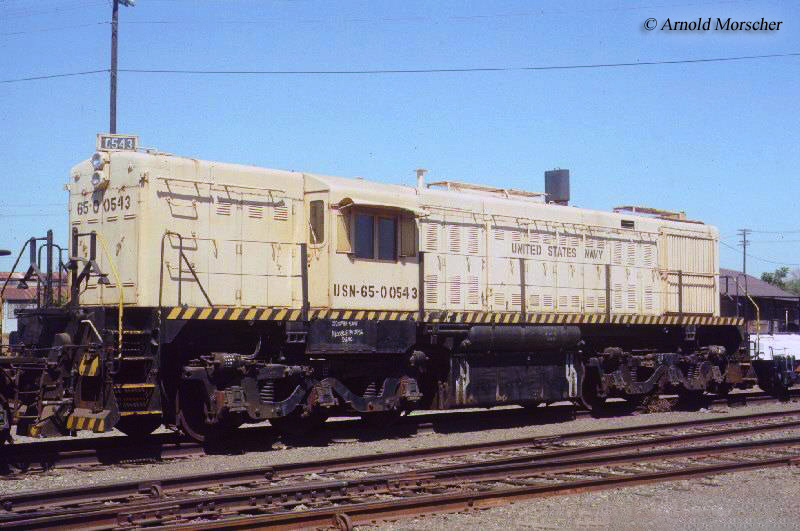 Alco's most noticeable visual difference was the shape of its carbody featuring a beveled, smooth roof-line across the entire length of the frame; in contrast EMD's sported a "V"-shaped roof-line ending at the cab while the short hood was square giving the locomotive an uneven appearance. Alco's MRS-1s, utilizing components from General Electric, were manufactured between 1953 and 1954. They carried the 12-cylinder, 244 model prime mover that could produce 1,600 horsepower and were slightly longer at 55 feet, 11 inches (weight was the same). In total, Alco manufactured 83 examples that were listed #2041-2123 (serials 80324-80406). Additionally, 50 of the locomotives carried steam generators for as-needed passenger assignments and their road numbers were designated with a "B" prefix. The military wound up paying an exorbitant amount of money for the MRS-1 models produced by both EMD and Alco; they averaged about $500,000 each, which was more than three times the amount of a standard road-switcher (such as a GP9 or RS3). In typical government fashion, the entire fleet of 96 units were never employed as intended. Once the locomotives were ready for service all were sent to USATC's Transportation Materiel Command facility at Marietta, Pennsylvania and parked. Only one actually made it overseas, EMD #1818, which performed testing on Germany's Deutsche Bundesbahn by the Army between 1952 and 1955. The rest of the brand new units remained stateside in storage until 1970 when the Pentagon deemed them superfluous, no longer needed for military service on foreign railroads. Some eventually did find work in the different branches such as the Air Force, Army, and Navy. Additionally, one civilian line, the Alaska Railroad, purchased many second-hand for use in freight service; 13 Alcos and 5 EMDs. 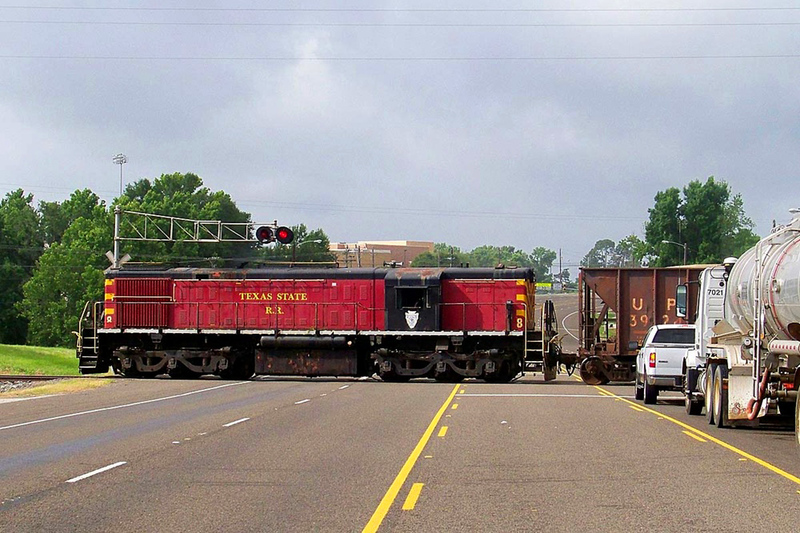 Incredibly, numerous examples of these interesting locomotives were ultimately preserved; some are even operational and at least one, a former Alco, operates in freight service on the Texas State Railroad (former US Army #2101) as of June, 2014. Unfortunately, many of the EMD's were scrapped but four are still known to exist and one is on display at the US Army Museum of Transportation at Fort Eustis, Virginia. There are also more than 20 examples of Alcos preserved, scattered around the country from Maryland to California. If still there, what was formerly #2108 is believed to be rusting away at Camp MacKall (a special forces training area) in Fort Bragg, North Carolina. To read more about other Alco and Electro-Motive models please visit the Diesel Locomotives section of the site, which can be reached from the top of this page.